Plan accordingly - expect crowded Roosevelt Island Tram cabins to Manhattan. The MTA has advised that there will be no Manhattan bound trains this weekend, July 5th- 8th from 11 PM Friday to 5 AM Monday. The Tram will operate on a rush hour schedule (every 7.5 minutes) from 7 AM until 10 PM Saturday, June 22nd and Sunday, June 23rd. Join us at the Park to celebrate the 4th of July weekend and to welcome our 100,000th Park visitor! A Dixieland jazz band will perform. Complimentary refreshments and American flags will be provided. Tomorrow must be a very special day. Normally, refreshments, other than water, are not allowed into the FDR Park. 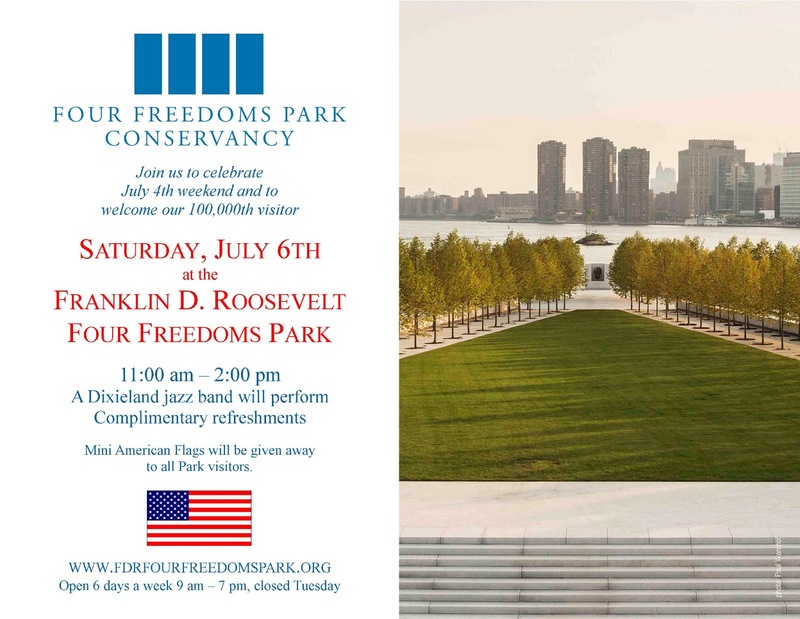 NY City Council Speaker/Mayoral Candidate Christine Quinn and Assembly Member/NYC Council Candidate Micah Kellner are scheduled to visit the FDR Park for the event tomorrow. Go tell Ms. Quinn and Mr. Kellner what you think of this so-called Park. Here's a time lapse video of the FDR Park's construction. FRANKENSTORM: From Across the East River (Teaser Trailer) from John Mattiuzzi on Vimeo. Come out to Southpoint Park on Friday, July 5th at 8:30 PM to watch a selection of independent short films hosted by Rooftop Films. Soft serve ice cream and treats will be available for purchase from the Mister Softee Ice Cream truck. So come on out and enjoy the movie with family and friends. Rooftop Films heads to Roosevelt Island with a special FREE program of short films by and about New Yorkers. Join us at beautiful South Point Park for a scenic night along the shore of the island with spectacular views of Manhattan, Queens and the river on all sides. "Frankenstorm: From Across The East River" is a visual and emotional account of the night that ended in the horrifying Con Edison explosion, darkening half of Manhattan’s skyline. This short form, experimental documentary hovers along the East River, at the Williamsburg Waterfront in Brooklyn, where hundreds of spectators flocked to absorb the terrifying amusements of an approaching superstorm. An overwhelmed young woman, out on a date, unexpectedly discovers everything she needs in a conversation. On a cold winter morning, a lone piano stands curbside in New York City. Passersby slow, stop, and play. Plinking slightly out-of-tune over the white noise of Broadway’s cars, buses, trucks, and sirens, the piano awaits its fate. A plaintive reminder to never pass up a unique opportunity in NYC. A distracted walking tour of an exhausting commute. Meet Magick Balay, who runs a midtown Manhattan magic shop by day, and at night performs his own legerdemain at clubs and private parties. A close-up portrait of a charismatic guy whose greatest feat is how he has transformed himself through his art. An American revolutionary updates his place in history in this radically inventive and modern bio-pic. To thousands, the Thunderbolt Roller Coaster was a Coney Island icon, but for Mae Timpano it was home. This enchanting film examines the true-life experience of one woman and her unique relationship to Coney Island living under the famed Thunderbolt Roller Coaster. Doors open at 8, films start at 8:30. This is great - would love to see more independent film screenings outdoors on Roosevelt Island but I do hope for a better food selection than Mr. Softee. Due to NYPD activity, the Roosevelt Island Bridge will be temporarily closed. Have received several unconfirmed reports of a shooting on Main Street last night. Waiting for response to my inquiries from NYPD and RIOC. UPDATE 12:55 - Picture of NYPD on Roosevelt Island Bridge at Vernon B'lvd earlier this morning. Any comment from RIOC regarding the reason for NYPD shutting down the Roosevelt Island Bridge last night? I have received several reports of a shooting on Main Street last night at about the same time the Bridge was closed. Will there be any comment from RIOC explaining what happened last night? Late last night an individual sustained a gun shot wound to the hand on Roosevelt Island. The Roosevelt Island Public Safety Department (“PSD”) administered first aid on the scene and the victim was taken to a local hospital by ambulance. The Roosevelt Island Bridge and Tram were temporarily closed, and several NYPD officers were stationed by the F train, in an attempt to apprehend the suspect. The NYPD is conducting an investigation. PSD is assisting the investigation and will continue to monitor the situation to ensure the safety and security of Roosevelt Island. This statement says very little about what happened. Any comment about the Public Safety Department crowd dispersal at Lighthouse Park, fighting near the deli and subsequent shooting on Main Street in the early morning hours last night. I understand that PSD Director McManus was on the scene as well. Is that true? Will update if more information received. In the incident that happened in front of the deli last night, under the Supervision of Director John McManus, Public Safety Officers successfully handled the dispersing of crowds, without the use of pepper-spray, batons, and without an array of summonses or arrests . They were able to de- escalate a situation which could have very easily gotten out of hand. There were no reports of vandalism and no riot occurred. The PS Officers on duty acted professionally and demonstrated extreme constraint in their interaction with the crowd of 200-300 individuals who after exiting Lighthouse Park, gathered in front of the deli on Main Street. The individual who was shot in the hand was not a resident of Roosevelt Island and was discovered by Public Safety Officers and aided until the the ambulance arrived. Officers from the 114th came in and handled the situation, while the PSD Officers, working in conjunction with them, successfully dispersing the crowds. The Detectives from the 114th are questioning individuals who were in the vicinity during the time of the shooting. HAPPY BIRTHDAY AMERICA - JULY 4 IS INDEPENDENCE DAY. What the Fourth of July is really about is the Declaration of Independence from Great Britain. 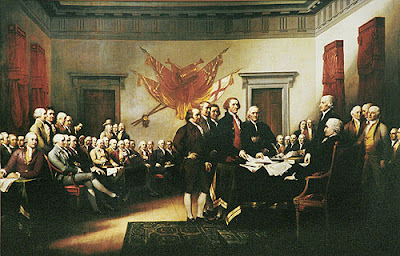 Here's how the signing of the Declaration of Independence was depicted in one of my favorite movies, 1776. This previous post shows the text of the Declaration of Independence, a reading of it from then Senator John F. Kennedy and on a slightly less serious note, South Park's version of the decision by American colonists to declare independence and go to war against England. and a report on the Good, Bad and Ugly of that night including video from Roosevelt Island 360 on the crowds trying to leave Roosevelt Island that night. 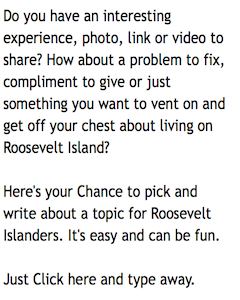 Today is also the 6th Anniversary of the Roosevelt Islander Online Blog. Independence Day and the Macy's Fourth of July Fireworks Celebration viewing at Southpoint Park on Roosevelt Island has a special place in the life of the Roosevelt Islander Blog because it was the subject of the first post and the reason for the blog coming into being way back on July 4 2007. The subject - my objection, some might call it a rant, (all in CAPS because I didn't know any better) to RIOC charging $18 to gain entry to Southpoint park to view the fireworks when other NYC public venues did not charge a dime. Since July 4 2007, there have been 1,073,895 visitors to and 1,564,744 page loads of Roosevelt Islander Online (Readership statistics here). Thank you to all the Roosevelt Islander readers, contributors, those who comment and lend their expertise on particular subjects as well as those who send in their tips, suggestions and messages. Please continue to do so. Happy Independence Day Roosevelt Islanders. David Kraut shares this photo taken yesterday from the Roosevelt Island Tram of a beautiful rainbow over the East River and Queensboro Bridge. 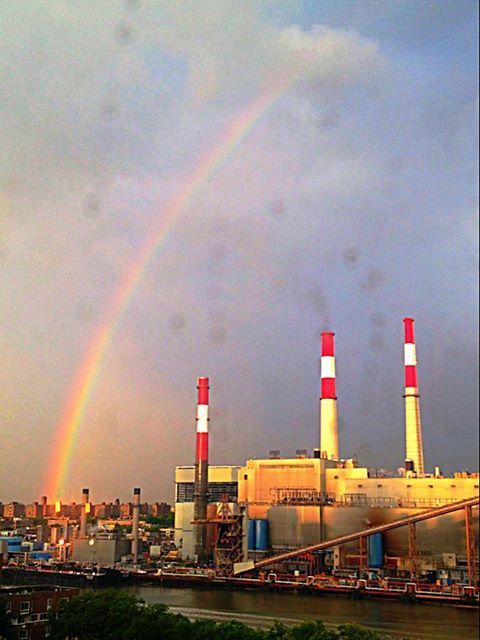 Another great view from Roosevelt Island of yesterday's rainbow above Long Island City's Big Allis power plant from Peter Knowlton. Roosevelt Island was Somewhere Over The Rainbow yesterday. Enjoy Eric Clapton's version of the song. UPDATE 8:30 PM - More great Roosevelt Island rainbow photos from yesterday. Click on the rainbow images to enlarge for fantastic view. GREAT NEWS for Roosevelt Island. Assembly Member Micah Kellner reports that the New York Public Library (NYPL) signed a lease with Hudson Related Companies for a new Roosevelt Island branch at 504 Main Street. The New York Public Library has already initiated the Roosevelt Island Library project with the New York City Department of Design & Construction (DDC), which begin working on architect selection, which, along with the contract development and registration process, will take approximately five months or so. Current projected schedule is to start design 12/2013 or 1/2014, start construction some time in 2015, and open the new branch in 2017, and the current budget is approximately $4.5 million. Capital funding has been provided by the Mayor, City Counci Member Jessica Lappin and Manhattan Borough President Scott Stringer. The New York Public Library has taken a critical step in its plan to build a new and improved library on Roosevelt Island. On July 1 the Library signed a lease for a property on the ground floor at 504 Main Street, which will be the site of a new Roosevelt Island branch. The new library will be more than double the size of the current library – which is only a short distance away at 524 Main Street – and is expected to be completed in 2017. The new library will be approximately 5,200 square feet, more than double the 2,500 square feet offered at the current Roosevelt Island branch. It will offer the public materials including books, CDs and DVDs, as well as computers, wi-fi capabilities and programming spaces. 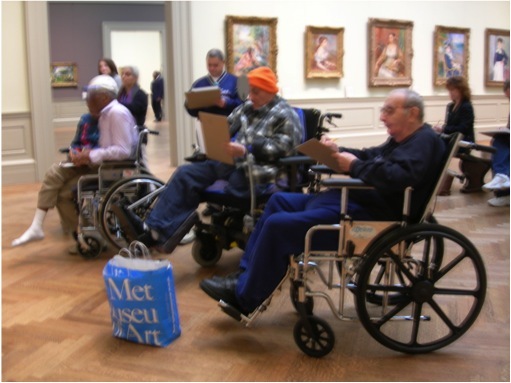 It will also be ADA accessible. During the construction of the new building, the existing branch will remain open to the public. In Fiscal Year 2012, the Roosevelt Island Library received almost 90,000 visits, and circulated over 115,000 items. "I am thrilled that the lease has been signed for the new Roosevelt Island Library. And I am proud to have secured $ 4 million dollars in capital funding to make this library a reality. With the funding in place and the lease signed, our dream of a new, state-of-the art library that can accommodate an ever growing population of Roosevelt Islanders, is now coming true," said Council Member Jessica Lappin, representative of the 5th District of Manhattan. The project is being managed by the New York City Department of Design and Construction. The Roosevelt Island Operating Corporation (RIOC) will undertake certain construction work to assist the NYPL relocation. In addition to the installation of new exterior doors and windows and a new building entrance, RIOC will demolish the interior to clear the way for the new and improved library. “The RIOC Board has long been committed to assisting with the expansion of the library, and is pleased that with this development the library will double in size. The magnified presence of the library will greatly benefit Island residents and visitors, while adding to the momentum of the revitalization of our Main Street,” said a RIOC spokesperson. The landlord for the library is Hudson Related Retail LLC (“HRR”). HRR entered into a Master Retail Sublease agreement with RIOC in August 2011 in order to lead the Roosevelt Island Main Street corridor rejuvenation. Created in 1976 by Dorothy and Herman Reade, the one-room Roosevelt Island Community Library served residents for 20 years. In 1997, the Roosevelt Island Library became one of The New York Public Library’s local branches serving the Bronx, Manhattan, and Staten Island. Construction Fence Erected For Southtown Riverwalk Building 7, Hudson Related Conducting Exploratory Excavation Work - Parents Ask If New Tot Lot Will Open Before Construction Starts? Please be advised that Riverwalk 7 LLC will be conducting preliminary work to prepare for Southtown Building 7 construction. The work will include erecting a site construction fence and commencing exploratory excavation work within the construction fence for the identification of existing on-site utilities. As previously reported, the Southtown Tot Lot is being moved to Blackwell Park to make way for the Riverwalk Building 7 construction. Developer Hudson Related has promised that the current Tot Lot will not be closed until the new Tot Lot is open. The construction fence does not necessarily mean that construction is about to start before the opening of the new tot lot. Will ask Hudson Related about construction schedule and date of new tot lot opening. Unfortunately, there will be no viewing of the Macy's July 4 Independence Day Fireworks celebration from the Roosevelt Island, Brooklyn or Long Island City waterfront again this year as the Macy's Fireworks Celebration will be set off from barges in the Hudson instead of East River for the fifth straight year. 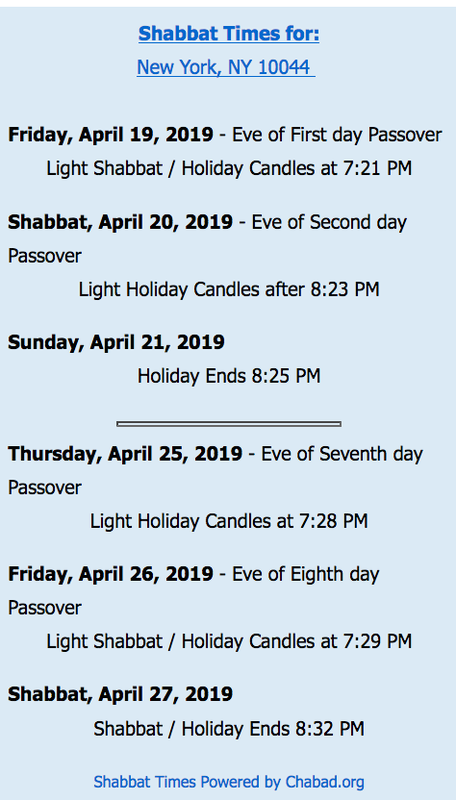 Queens police officials this week issued a “first reminder” to the public that, again this year, they will not be able to view the annual Macy’s fireworks display from sites along the East River in Long Island City or Roosevelt Island. NYPD Queens North Borough Commander, Asst. 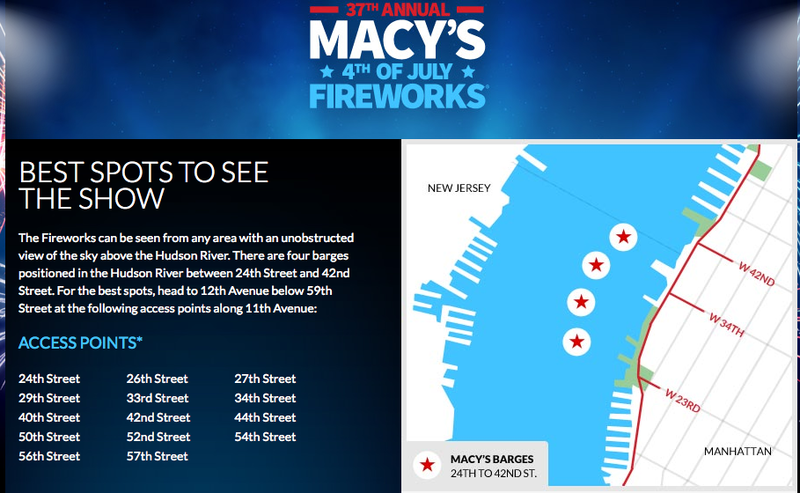 Chief Diana Pizzuti, is reminding residents that the annual Macy’s July 4th fireworks extravaganza will take place again this year over the Hudson River – this eliminating any view of the fireworks from the Long Island City waterfront. the last time the Macy's July 4 Fireworks celebration took place on the East River. Hopefully, the July 4 Fireworks will be back on the East River for 2014. Roosevelt Island Supermarket Owner John Catsimatidis Talks About NYC Mayoralty Campaign - He Fixed Roosevelt Island Gristedes Supermarket, Can His Business Skills Do Same For NYC? 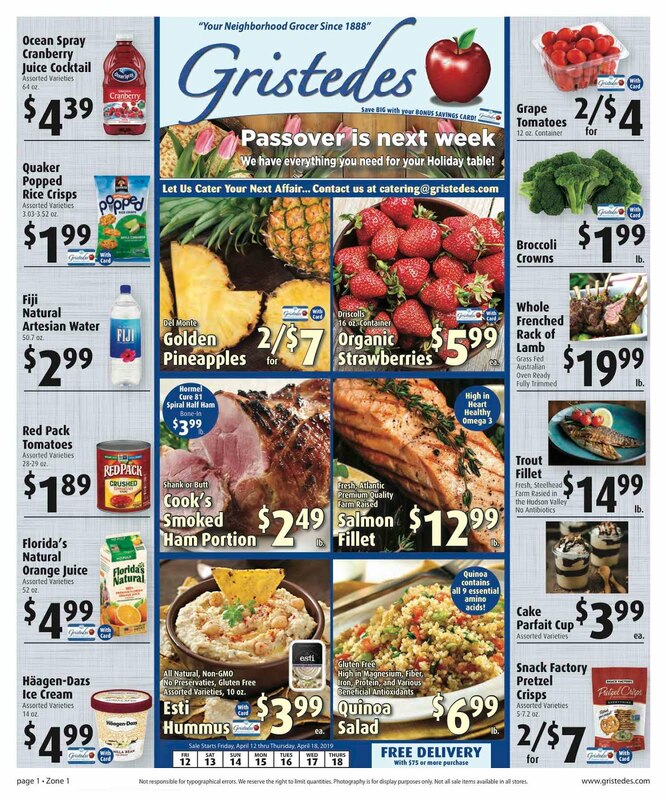 Roosevelt Island's Gristedes supermarket owner Johnn Catsimatidis was interviewed by City And State. Here's what he had to say. 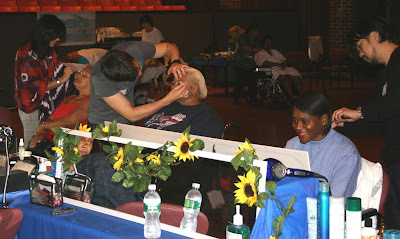 Mr. Catsimatidis held a Roosevelt Island Town Hall meeting in 2012 and I interviewed him at the Gristedes Grand Re-Opening last March. 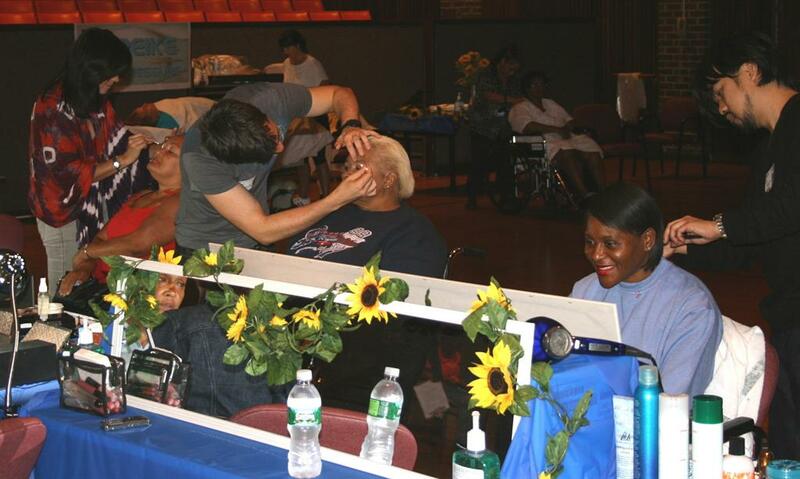 Healthy Starts nutritional program and horticultural therapy. 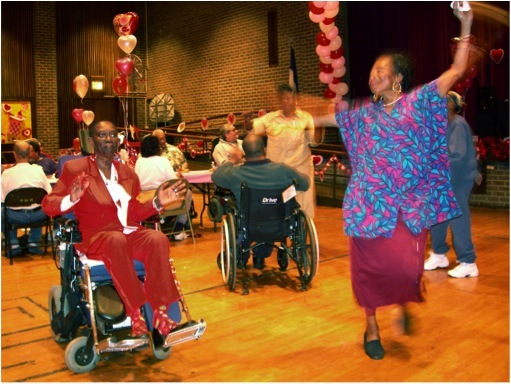 Most of the patients we seek to serve are seriously disabled and reside in either of the two long-term care facilities for extended periods of time, in most cases the rest of their lives. and more, but particularly for program development. 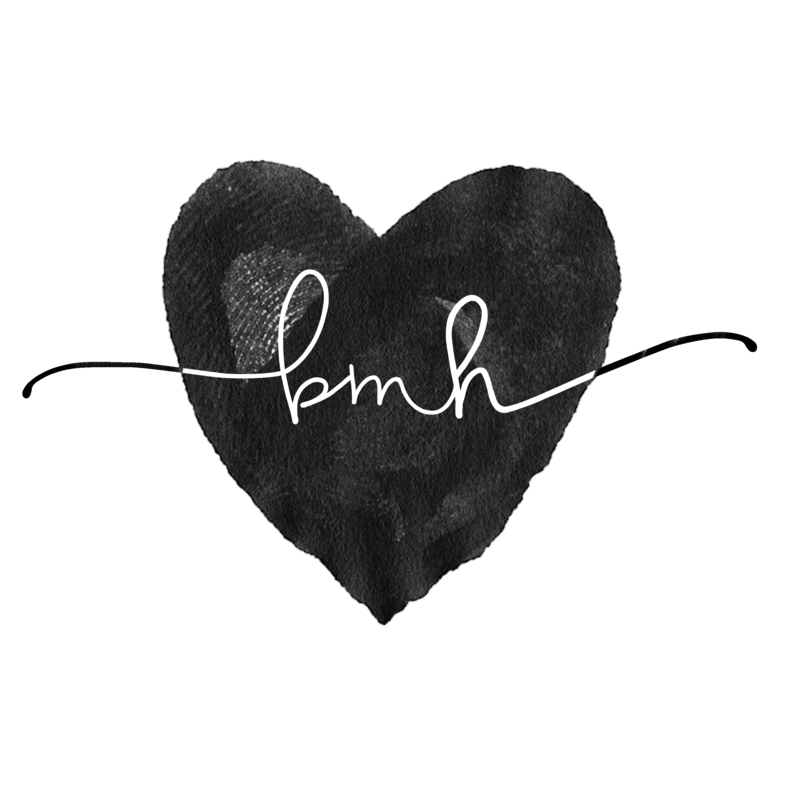 We're trying to organize a donation drive for things the patients need, like clothing, DVDs, art supplies, headphones, etc., with which we need help. We're also trying to organize a program that would allow for regular food delivery to the patients. Additionally, we need help finding sources of funding so that we could renovate the patients' common spaces and start other recreational/therapeutic programs, including a therapy dog program. We're also looking for in-kind donations of new or gently used clothing, DVDs, headphones, CDs, games, and art supplies. Please visit our website and Facebook page. More on Angelica from earlier posts. 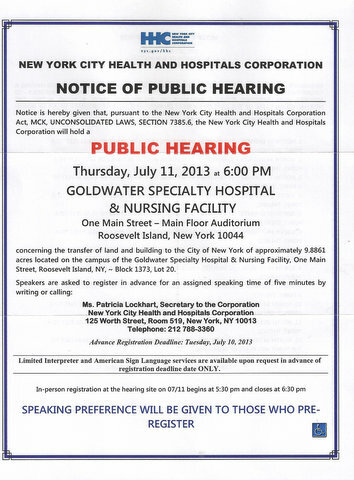 NYC Health and Hospital Corp (HHC) representatives discussed the closing of Goldwater Hospital at an April 16 Community Board 8 meeting. Here's video of that meeting. regarding the closing of Goldwater Hospital. Times lapse of night time over the east river. It's nice to catch the airplane light trails from Laguardia. Did you catch the Roosevelt Island Bridge going up and down? That was cool.